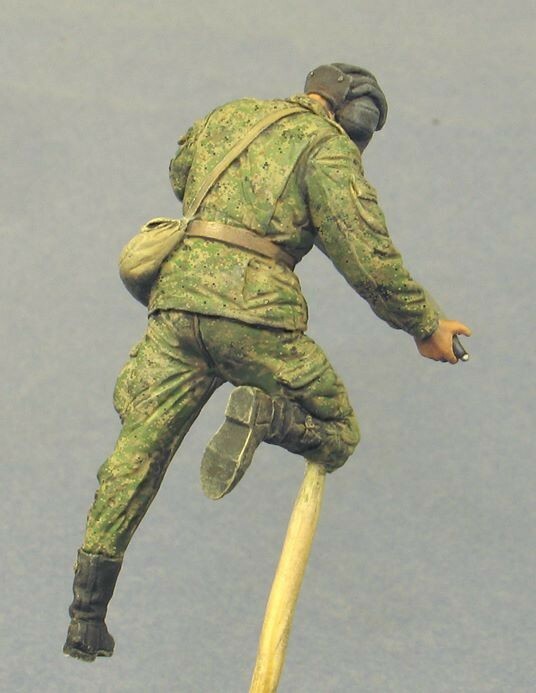 This modern Russian tanker is schlepping his large round and charge to his tank - probably loading it up from rates or a truck. 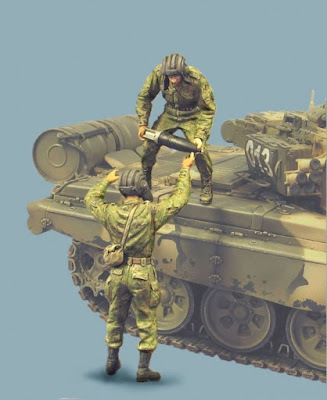 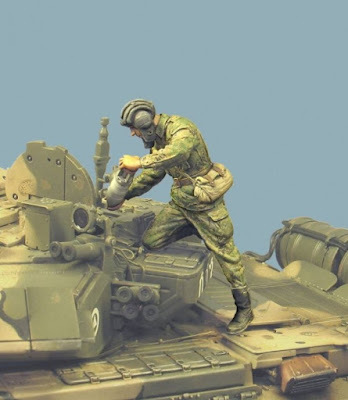 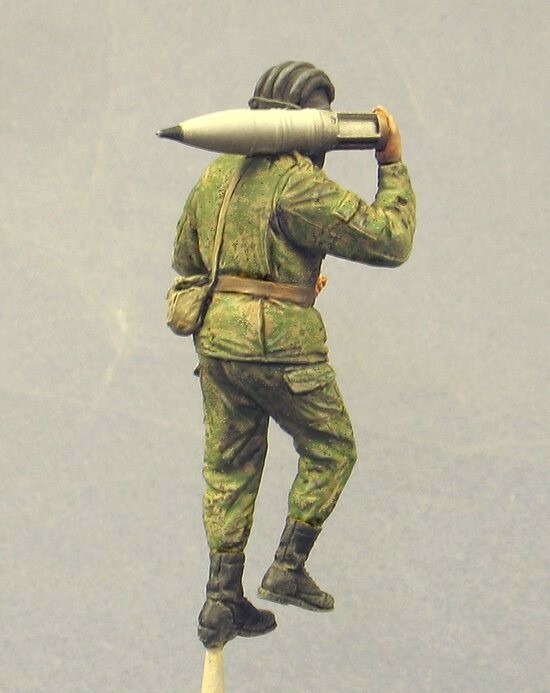 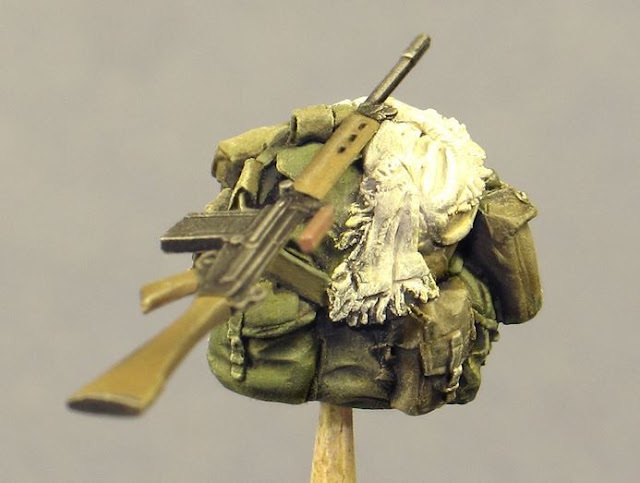 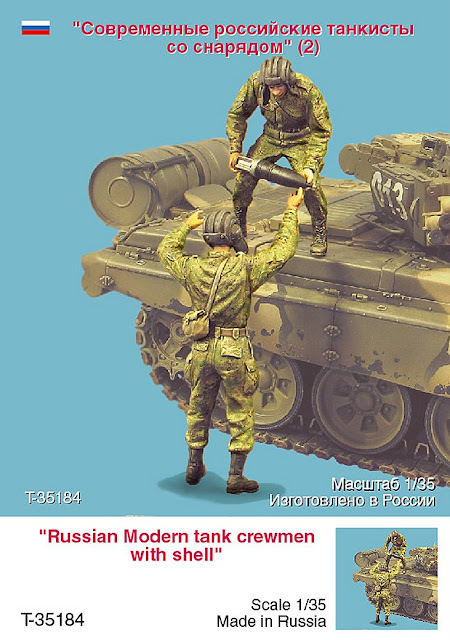 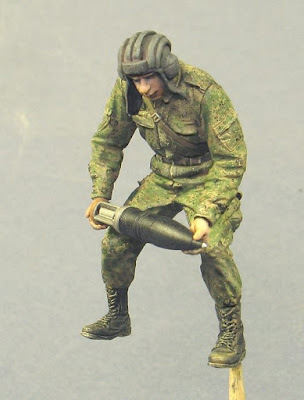 Two modern Russian tankmen loading their large vehicle with shells - meant to be added to with our other tanker - these will fill out your large tank with people. And this fellow is passing the buck - maybe doin' the YMCA? 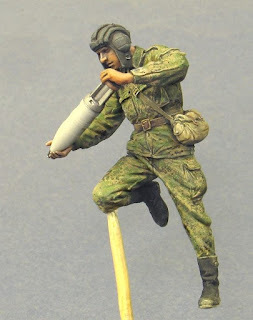 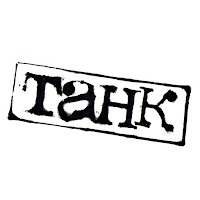 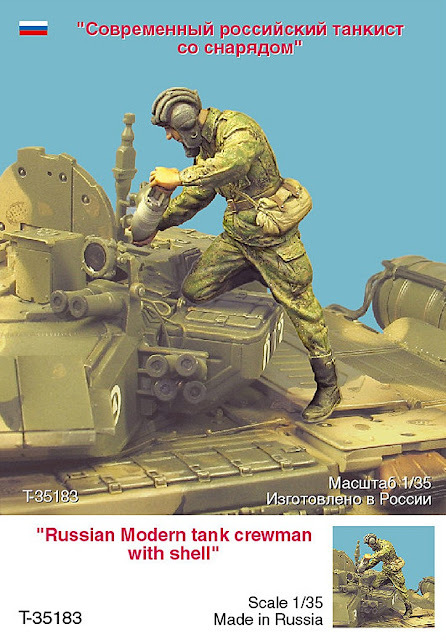 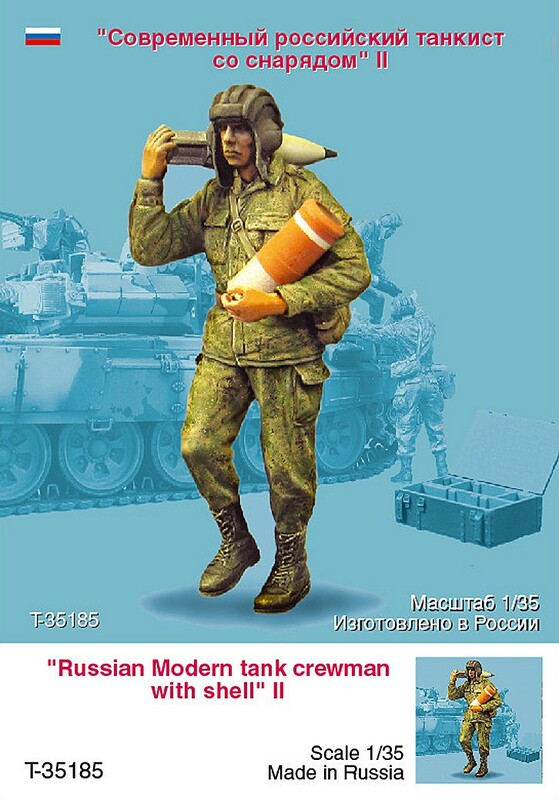 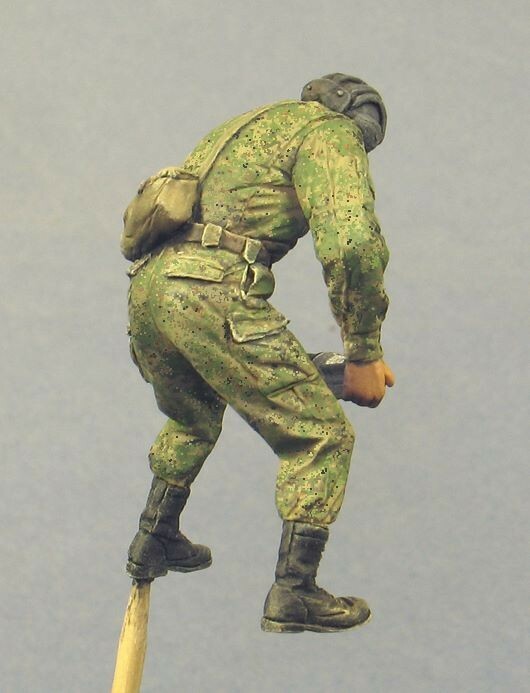 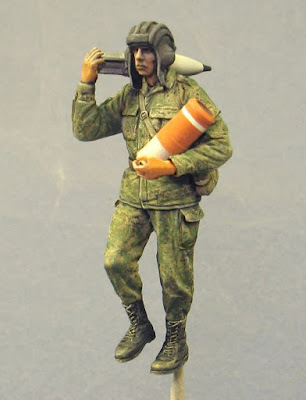 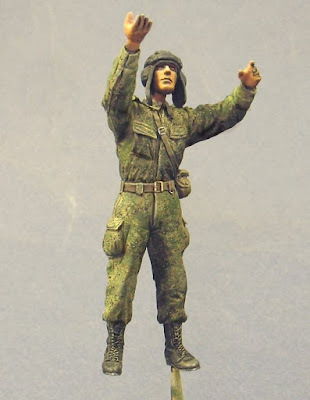 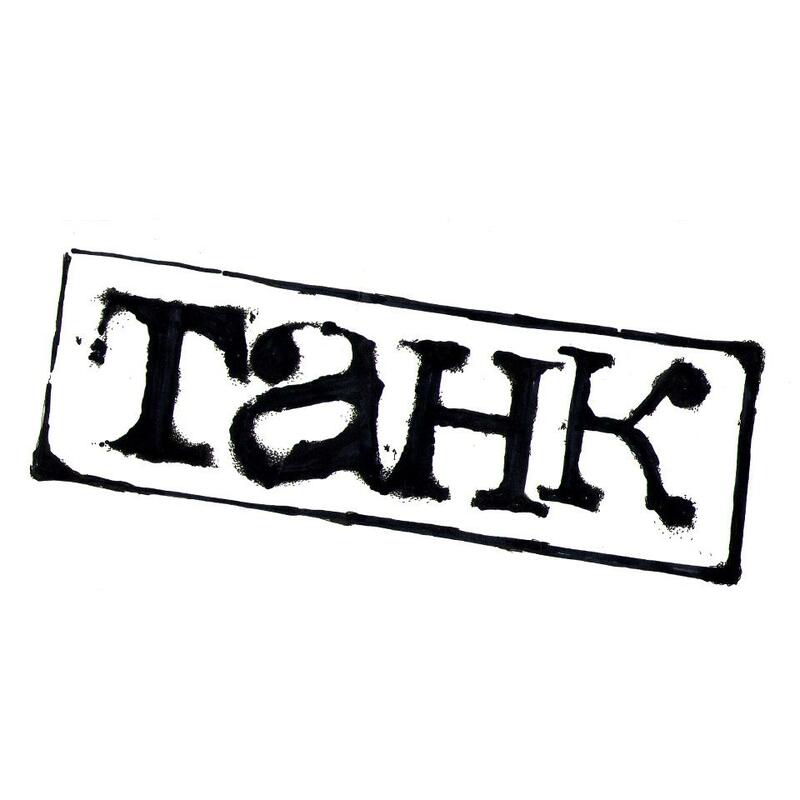 Modern Russian Tankman. 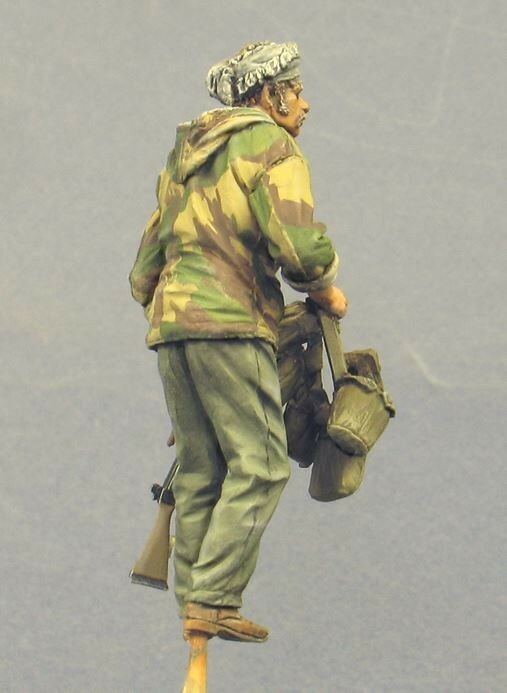 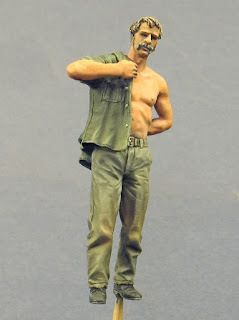 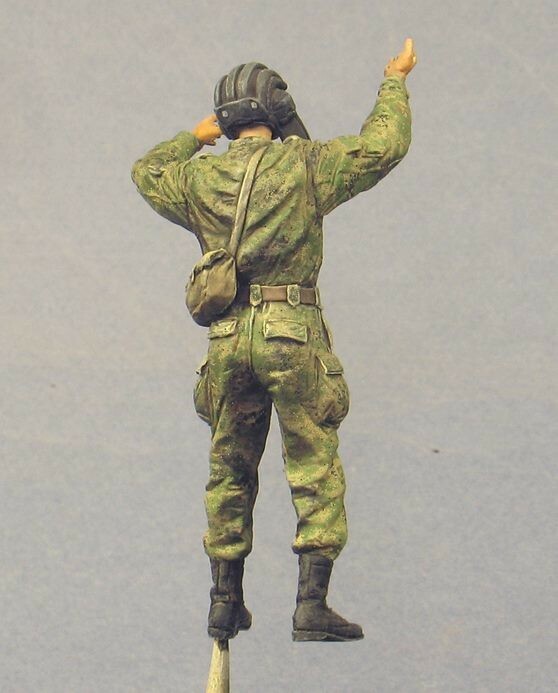 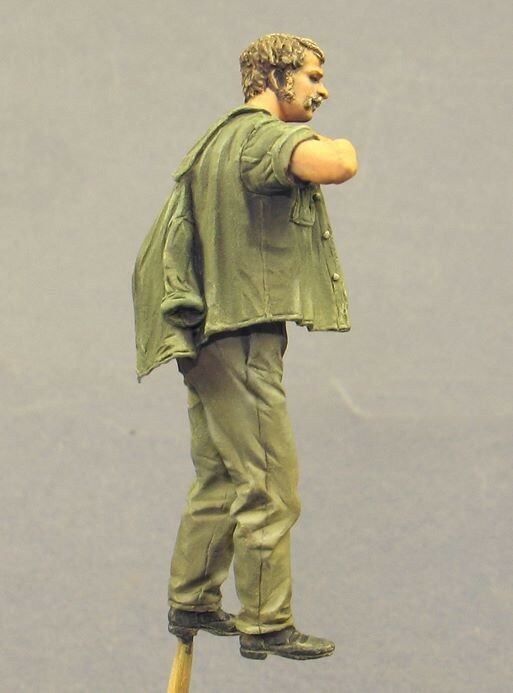 One figure - this fellow is helping his fellow crewmembers. 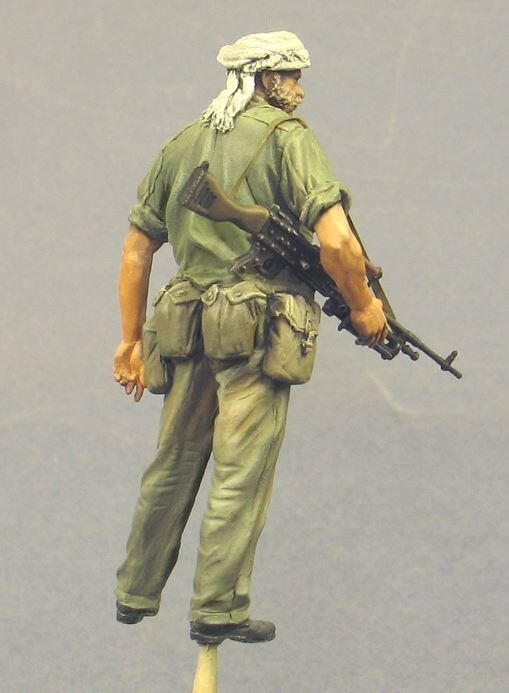 The British SAS. 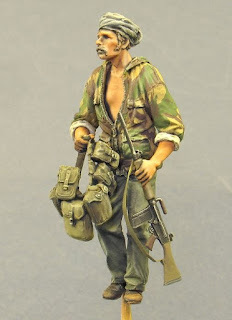 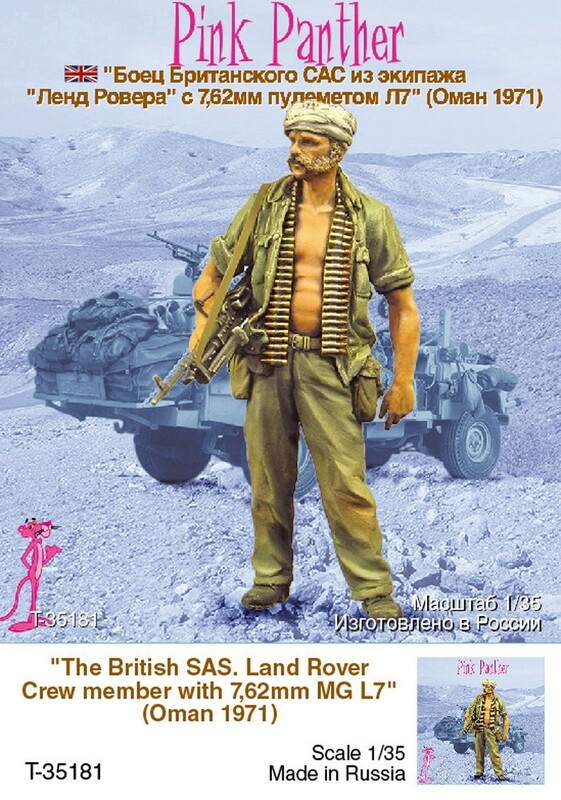 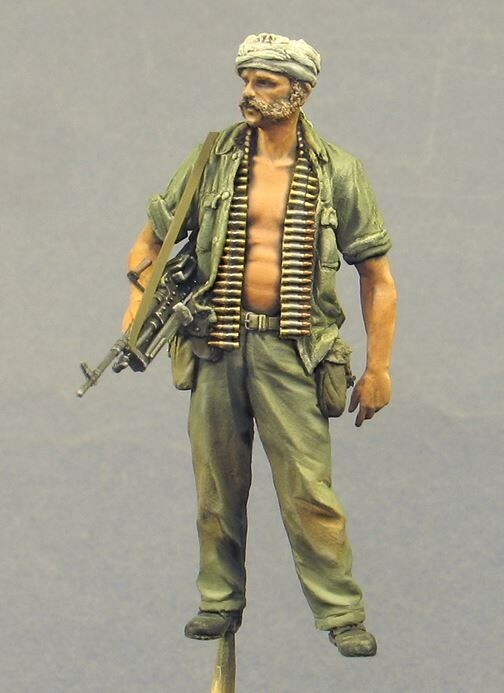 Crew Member Land Rover "Pink Panther"
The British SAS. 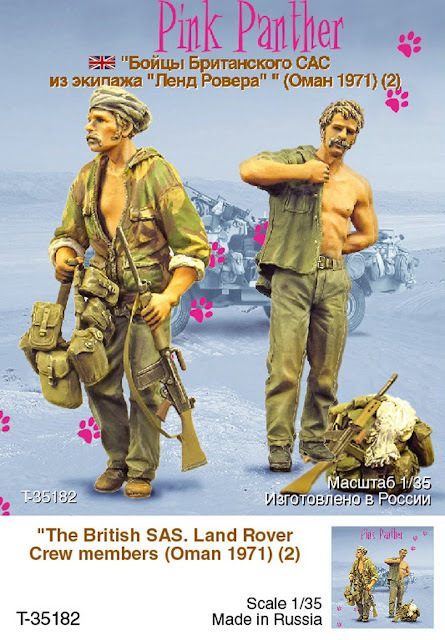 Crew Land Rover "Pink Panther". A bunch of equipment is sold with this set as a bit of a bonus.